One of the full growth and development conditionsplant is timely watering. But it is not always due to employment hosts and remote sites of the city have the opportunity to provide it. To solve the problem of creating optimum conditions in compliance with the humidity conditions will set the timer. This device not only simplifies maintenance of the green, "pets", but also a beneficial effect on the quality of the harvest. 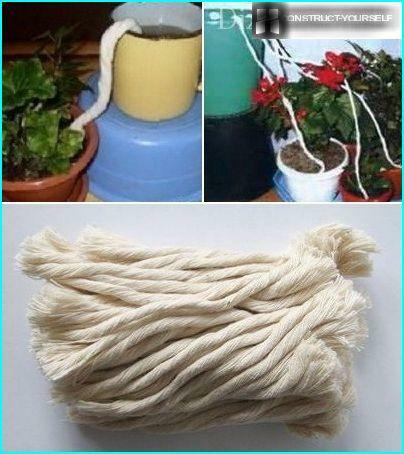 The desired device in the household can be purchased at gardening store, or make your own hands watering timer. About how to choose the optimal variant of the model or make a simple device yourself, consider the article. 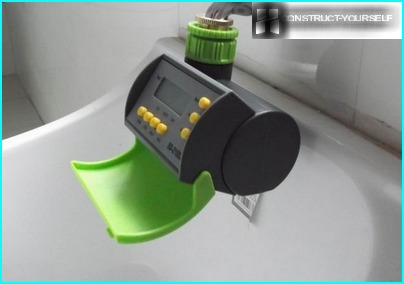 watering timer is a mono- ormultichannel shutoff mechanism that controls the water pump. 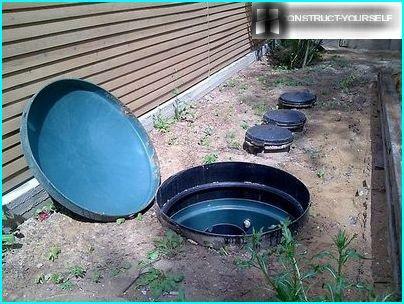 It opens at regular intervals, allowing water to enter the irrigation system. Providing local irrigation, helping to solve the problem of weeds. 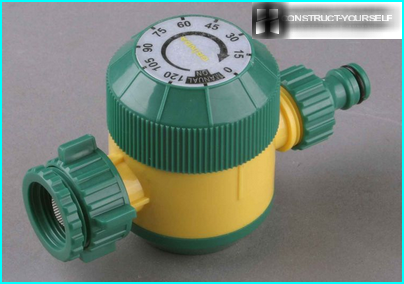 For ease of maintenance of water supply timers are placed together with other equipment in plastic boxes installed under the ground. According to the principle of reference timers are divided into single-action device (with a one-time actuation) and multiple (several times when triggered with preset shutter speeds). Electronic - The device includes an electronic control unitsnap-in, which determines the response time and the opening of the solenoid valve. The undeniable advantage of such devices is the wide range of operation time, which can vary in the range from 30 seconds to one week. Watering mode you can adjust both the place and remotely. Mechanical - Represents a control unit,equipped with a coil spring and a mechanical valve. It works on the principle of mechanical watches. One spring block cycle plant capable of providing uninterrupted operation of the mechanism up to 24 hours, opening the valve for a given period of operation by the user. irrigation mode is adjusted manually. Both devices are multichannelstructure. 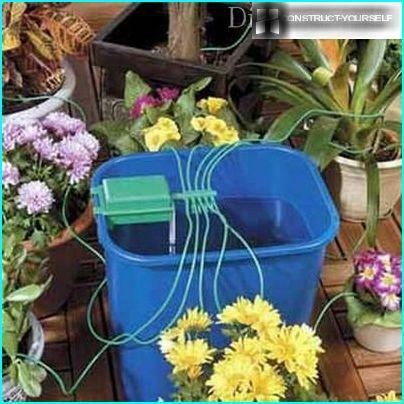 Mechanical watering timer feature simple design and absence in it of bringing electric wires. This significantly reduces the cost of the device. The mechanical timer is enough to setcyclical irrigation by the interval. With the e-model is somewhat more complicated: you must first set the date and time, and after that select the optimal program for the growing crop. Many noticed that in water supply systemssuburban towns during the day due to intensive water intake reduced pressure. 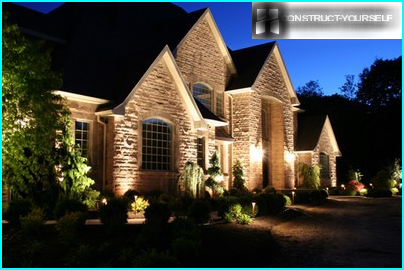 By installing an automatic watering timer can be assigned to irrigation in the evening and at night. Depending on the modification the device timerThey can be internal or external "normal" pipe thread, and are equipped with quick-connectors, hose connectors or quick connection with irrigation system. 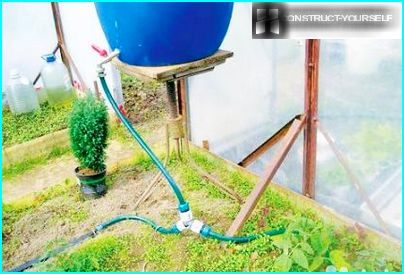 When planning to equip the system at the siteautomatic irrigation, control valves is convenient to use water timers. 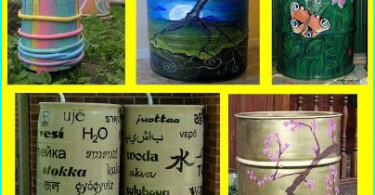 With their help, the water supply system can be made completely nonvolatile, avoiding the use of any electronics. The fibers wick moisture saturating raise itsup to a certain height, not allowing the water to evaporate rapidly. If the wick to throw overboard the container, then soak up the water begins to drip from a free end. The throughput capacity of water can be adjusted by adjusting the thickness of the wick, the density of twisting yarns and pinch their wire loop. 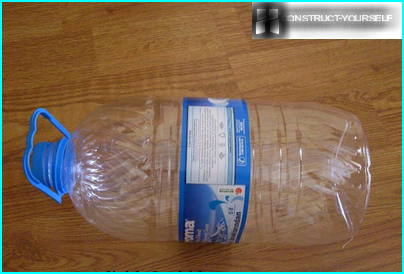 Timer for arrangement in a container of lowboards, whose height does not exceed 5-8 cm, set of five or desyatilitrovuyu plastic bottle. One of the key conditions of the system operation is to maintain the liquid level in the tank at a constant height. The optimum ratio of containers is easiest to determine experimentally. At the bottom of the bottle to make a small holeleaking water. A bottle filled with water, at the time of closing the drain hole and sealed with a lid. Filled bottle set in the trough. Filtered through the bottom of a water will gradually flow out, stopping at the level when the hole is hidden under a layer. As the water flow flowing out of the bottle water will make up the loss. The main advantage of this timer is that due to the water level in the same general container in case of rain replenishing moisture loss will be suspended from the bottle. 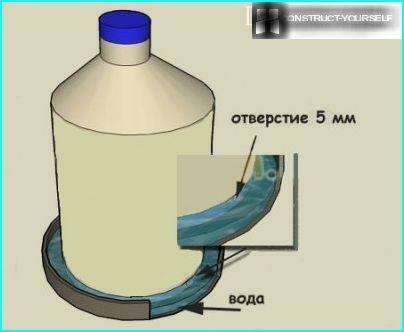 Craftsmen, has already been tested in practice thisdevice claim that five-liter bottle at flow rate of 1 drop / 2 seconds is enough for 20 hours of uninterrupted operation. By selecting the optimum size of the bottle, performing the function of the water column, and adjusting the intensity of the droplets can achieve the effect of multi day delay. In the water timer response timeIt effected by dripping. Leaking containers, fulfilling the function of the ballast water reduces the weight of the structure. At some point, the weight of the container is not enough for it to hold the handle of the stopcock and the water supply is started. For uninterrupted system operationball valve, it is desirable to modify and attach to fixed by a screw handle small pulley - rocker. This will result in the crane from the closed state into the open by changing the handle angle. Pulley constructed of two identical plywood circle,gluing them together planes construction glue or metal, connecting them by means of bolts. On the pulley wind the strong cord to secure making several turns around it. By building a lever cord segments firmly fixed on its edges. The free end of the cord on the opposite sides tied gruz- ballast and compensating the weight of the container with water. Weight of cargo must be such that under its weight the crane came to arm state. Adjust total weight easier containers by podsypaniya sand in one and the other water overflow. The role of the weighting agent may perform as metal chips or lead shot. Vessel with water and will carry a timer function. To this end, in its bottom of a thin needle doing a tiny hole through which drop by drop and the water will leak. The flow time will depend on the volume of the bottle itself and the size of the hole. It may range from a few hours to three or four days. To bring the device into operation, containerirrigation set on a level surface and fill with water. Bottles suspended over the ends of the cord to the pulley, also filled: one with sand and the other with water. When equal weight of the filled bottles closed valve. There are situations when it is necessary to get a completeopening the tap, without going through intermediate position - the so-called effect of the toggle switch. In these cases helps a little trick: in the closed position to the tap weights primatyvayut edge thread that will perform the safety functions, and the free end thereof is fixed to the tap. In the closed position, the mechanism of the thread will not feel any burden. As emptying the water tank will outweigh the goods, but the safety thread will assume the extra weight, not allowing to transfer ballast valve in "open" position. The thread will break only if a significant preponderance of cargo, instantly switching the tap and ensure the free passage of water. To bring the system to its original state simply remove cargo or fix it in limbo, eliminating the cord tension. The system is ready for use, there is onlybefore leaving the barrel to fill the watering timer and water and hang the ballast to insure his thin thread. Such a device is simple in construction and convenient in service. Its only disadvantage is the single operation. Other ideas for mechanical timerscan be found on the thematic forms. 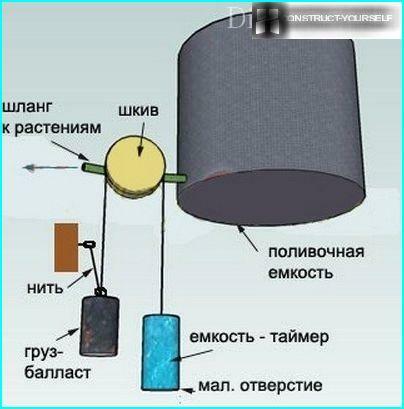 For example, as the operating entity timer some craftsmen using a cylindrical plunger with polyethylene pellets in oil. The device is adjusted so that the temperature decreases at night propellant drawn into, and a weakened spring opens the valve. To limit the water flow, the diaphragm is used. In the daytime sun warmed polyethylene granules increase in size by pushing the plunger to its original position and thereby blocking the flow of water.